World Breastfeeding Week is August 1st to August 7th, 2018. 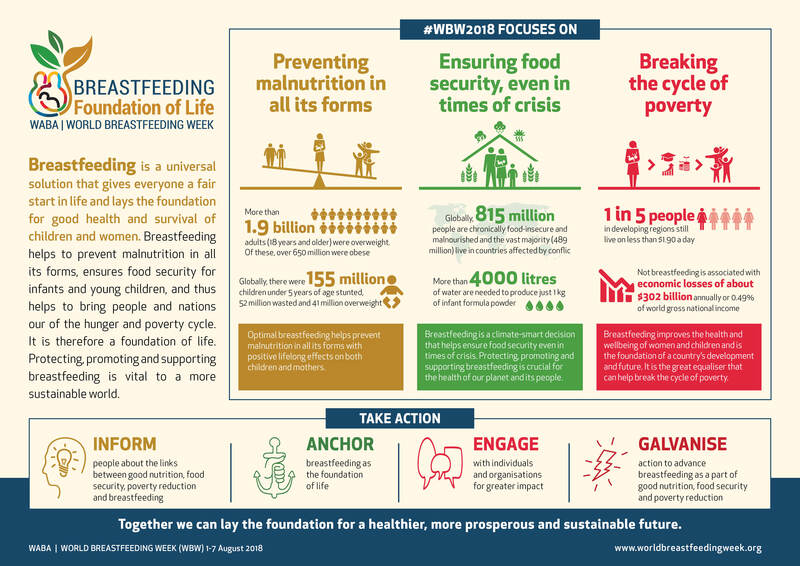 This week promotes the universal benefits of breastfeeding and encourages mothers to feed their children breastmilk and connect with resources to support their breastfeeding efforts. Visit the World Alliance for Breastfeeding Action to learn more about the efforts to encourage breastfeeding. Breastfeeding gives babies all of the nutrients that they need, which prevents malnutrition. It ensures that babies have food security, even in times of crisis like during a natural disaster. Breast milk carries antibodies from the mother to the baby which keeps the baby healthy from disease. What resources are available for nursing mothers? The La Leche League of Maine and New Hampshire provides education, encouragement, and community to breastfeeding mothers in Maine and New Hampshire. The New Hampshire Breastfeeding Taskforce has a resource guide that lists many sources of support for nursing mothers about different aspects of breastfeeding. The federal Women’s Health website has a full brochure on how to breastfeed and the problems that someone may run into. How can I support breastfeeding efforts? Encourage your workplace to have policies that allow women to breastfeed or to pump milk when they return from maternity leave. You can also support an organization that assists women with breastfeeding.